Mary Pop Apartments is offering 1 and 2 bedrooms apartments accommodation up to 6 people. We provide full service on weekly bassis. Rate for 1 bedroom apartment starts at $85/night minimum stay 7/nights. Accommodation up to 4 people. 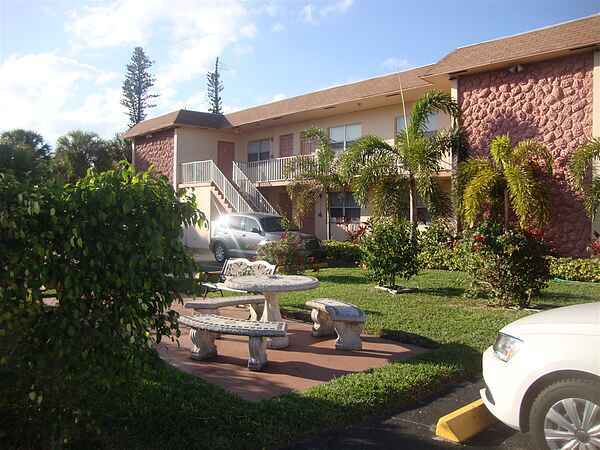 Kitchen equiped with pots, pans, clean towels available as needed,walking distance to Bus Stop going to Fort Lauderdale or Miami, Bikes available free of charge, 10 minutes bike ride to Hollywood Beach. Nestled between Fort Lauderdale and Miami is Hollywood, a classic Florida beachtown that's enchanted visitors since the 1920's , Hollywood Beach features one of a kind oceanfront promenade called the Hollywood Beach Broadwalk that stretches nearly 4 klm along the Atlantic. Named one of America's Best Beach Boardwalks by Travel-Leisure magazine, this brick paved is a haven for joggers, bicyclists, roller-bladers and all who'd prefer to take in the action from the comfort of one of the countles eateries and cafe's along the way. Perfect for a day at the beach or a family picnic, this park provides an abundance of recreational activities. Surf fishing,canoeing, swimming , nature study, boating, and picnicking will keep the whole family busy. For those interested in South Florida's underwater beauty,Lloyd Beach has one of the easiest and most interesting shore dives in the area. Sawgrass Recreation Park, fishing and camping,red eye tour, reptiles, airboat tours, private and group tours.